Born in 1889 in Stjernsfors, Sweden, Aldrin grew up in a family of little means. As a youth, he showed artistic promise but was not encouraged to pursue his creative interests. At age 22, after working for 12 years to support his family, Aldrin immigrated to Chicago. Soon after, he moved to Minneapolis and joined the growing population of Swedish farmers. There, he met and married Mabel Esther Lindberg, the daughter of a Swedish Baptist minister. In 1918, he traveled to France to serve in World War I. After a year, he contracted tuberculosis and was sent to the Veteran’s Administration Hospital in Prescott, Arizona. While healing, he returned to his childhood interest of painting. This convalescence served as a turning point for Aldrin. After his recovery, he moved to Los Angeles and enrolled for study at the Otis Art Institute where he studied under Edouard Antonin Vysekal. At the relatively late age of 34, he dedicated his life's work almost entirely to painting. From Otis, he received a scholarship and was described as “one of the best trained and most promising students.” Aldrin moved to Santa Barbara in 1927 with a scholarship to study at the Santa Barbara School of Fine Arts under Frank Morley Fletcher (a Japanese color woodblock specialist). 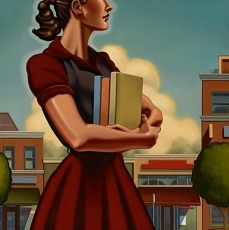 After completing his studies at Otis, he interspersed work in oils, watercolors, and woodcuts with courses at the California School of Fine Arts in San Francisco. In 1935, the Los Angeles Museum featured his work in his first solo exhibition. Thereafter, Aldrin's work was featured in many shows and received high critical praise. In 1940, Arthur Millier called his Echo Park “perhaps the only profound job of painting in this best show the society has ever put on." Despite this praise, he never achieved a high level of commercial success. The reality of life as an artist was difficult for Aldrin, but he managed his time and money to paint. 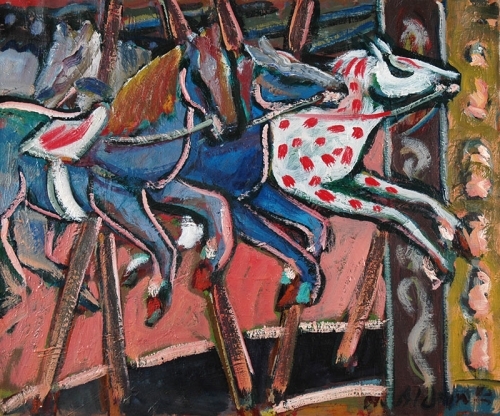 Through the 1940s, Aldrin exhibited his work in group shows, receiving prizes and critical acclaim. He painted his surroundings; friends and family, and scenes from the burgeoning city of Los Angeles. 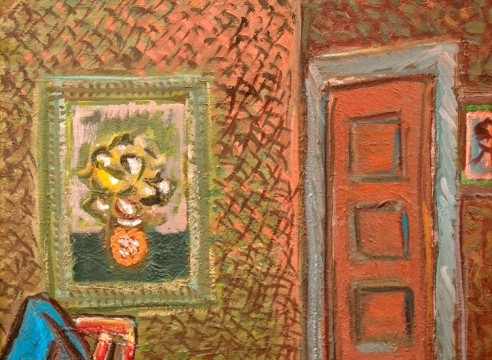 He spent six months in New England in 1945, exhibiting his works in a solo show at the Pasadena Art Institute. In 1952, his solo show in Hafgors, Sweden, was a great success. Both artist Lorser Feitelson and Aldrin himself felt his art would have "sold like hotcakes" in Europe. Although he participated in exhibitions, Aldrin always rejected the commercialization of his art in favor of his own unique style. When he wasn’t working in Los Angeles, he painted in Japan and Sweden, focusing intently on the use of color to reveal the essence of his subject. Aldrin’s techniques were never static, in fact, in 1969, a year before his death, he maintained his independent and modern spirit by painting in acrylic, calling it “a marvelous medium in which you can get any color you wish." Works of art by masters of the Los Angeles modern art scene are currently on view at Sullivan Goss Gallery (11 E. Anapamu St.) in the second installment of L.A. in S.B.. 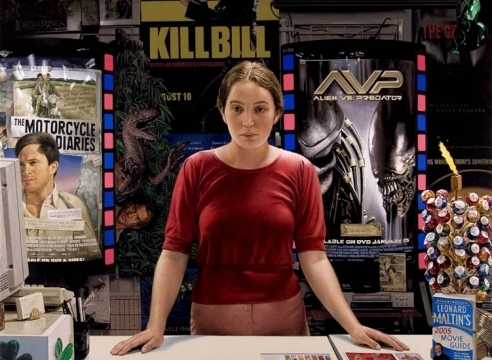 The showing features more than 15 artists from the contemporary and postwar period, including Ed Ruscha, David Hockney, Patssi Valdez, and Ken Price. Anders Aldrin never forgot the difficulties of his youth and realized his dream fully. His expressionistic, lively, and colorful style was a purposeful rebellion against Sweden's typically bleak landscape. 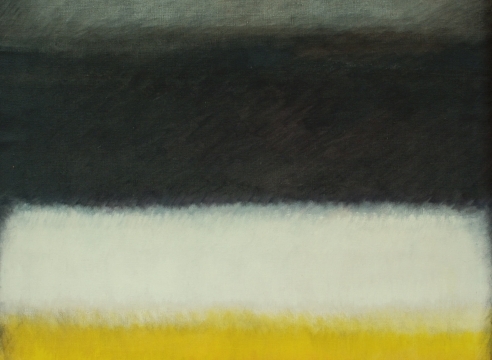 The paintings are perhaps a response to the joy and freedoms he found in California: it was a new world characterized by dramatic light, a sensual landscape, and an intriguing urbanity that he found deep satisfaction in painting for over 60 years. The late start of his art career and immigrant heritage heavily influenced Aldrin's nonconformist style. His thick accent and Swedish cultural idiosyncrasies prevented him from fitting into the popular Los Angeles art scene. Aldrin had no pressure to paint conservatively or within the parameters of commercial art. Because he never had a group with which to identify, he was free to develop a highly original and personal style. Aldrin painted instinctively; his confidence gave his art a distinct style that poetically captures the essence of his subject. Beginning with the exuberant brush strokes of his first still life in 1923, Aldrin took a Fauvist approach. 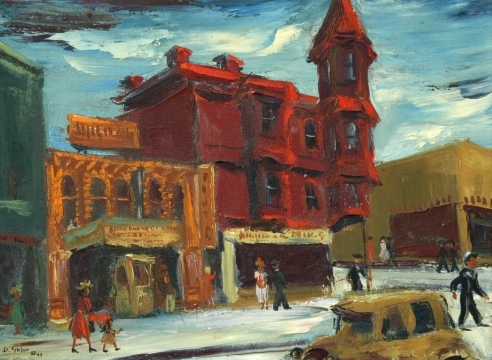 His renderings featured strong, sure brush strokes driven by emotional, evocative color. His style of bold brushwork and thin impasto is apparent in his oils, watercolors, and pastels. He was equally talented in woodblock printing, using color blocking rather than detail to create interest in his compositions. 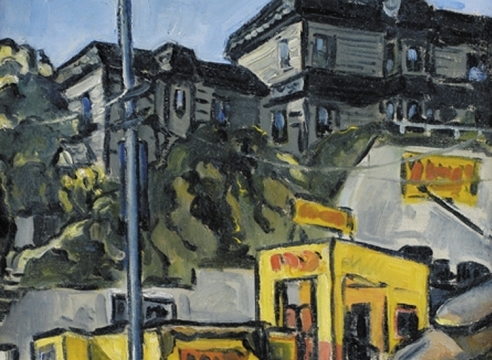 (He learned Japanese woodblock technique under Frank Moreley Fletcher at the Santa Barbara School of Fine Arts.) 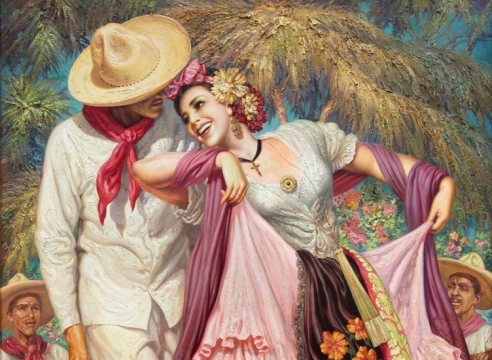 Although Aldrin was always able to paint in a representational manner, he was never content to paint traditionally and used his talent to push boundaries with his unique sense of color. Aldrin's compositions are complex without being overwhelming. His early woodblocks, such as Zabriskie Point from 1933, reflect his skill in creating refined, dramatic scenes. His varied colors could appear busy, but Aldrin's easily move one's eye into the heart of the painting. Oils like Big Pine, California (ca. 1944), Hollywood Ravine (1943), and Elysian Park (1940) use rounded, undulating lines to define the relationships between forms within a composition. His portraits have a similar feeling. Vincent, a portrait from 1942 alternates light and dark very specifically - almost mathematically - on either side of the picture. The same is true for Woman with Flower in Her Hair (ca. 1935), in which Aldrin paints a woman seated on a brightly printed chair. 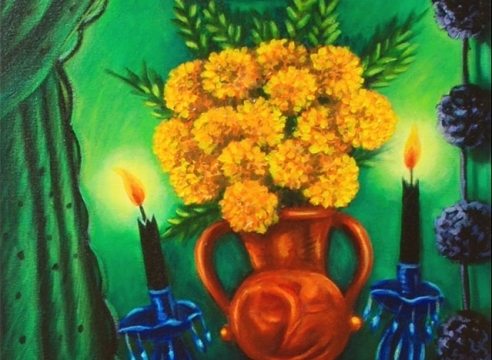 Color permeates the painting but does not overpower the subject because of the balance of vivid greens and deep blues. 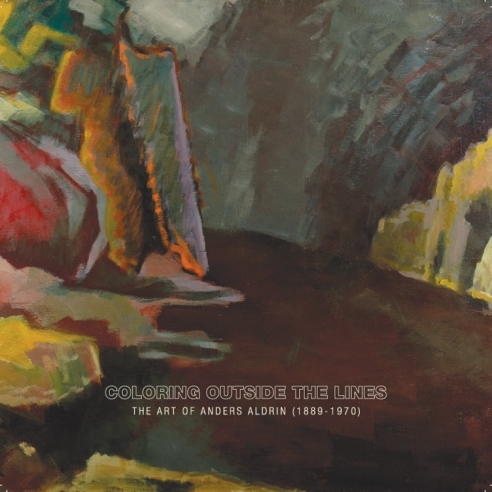 Critic and historian Bruce Kamerling aptly described Aldrin's paintings as "emotional, sometimes mystical, reactions to the things around him expressed in terms of form and color as distilled through his personal vision. Aldrin's landscapes often feature rolling hills that use strong in lieu of fine detail. 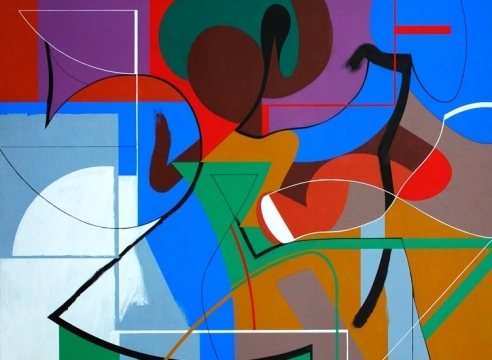 He creates rhythm by covering large areas in boldly colored broken brushwork. Although Aldrin painted identifiable landscapes with correctly proportioned trees and houses, they lost their representational quality in the emotional use of color. Forms are abstracted, giving compositions a simple, folk art appearance. Horses, trees, and especially people are stripped down to their most basic shapes. Bulky figures such as the large dancing woman in Woodbox Dancers (1933), the stylized horses of Kellogg Ranch (1931), and big, chunky clouds are common to many of his landscapes. 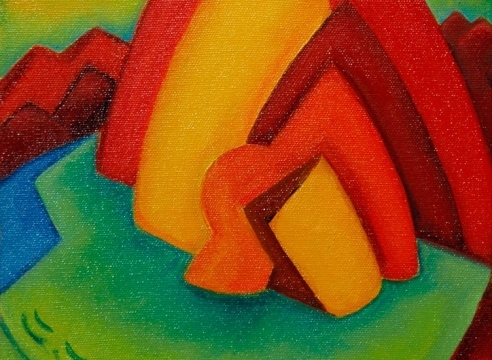 Color is the driving force of Aldrin's artwork. Arthur Millier praised his distinctive blend of expressionistic, fauvist, and modernist style for its ability to "make... colors sing". 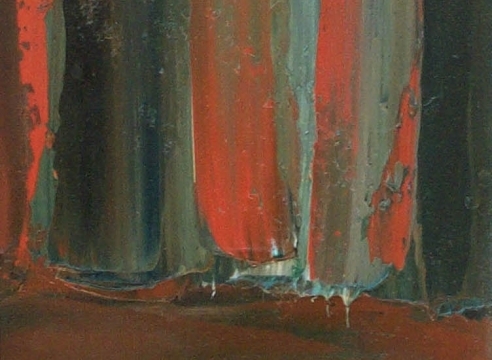 Aldrin himself referred to color as the most important part of his work; subject matter was secondary. His ability to capture the essence of a scene through the emotional use of rich, unusual color gave his paintings their compelling interest. Elysian Park, Los Angeles (1956) is a beautiful example of Aldrin's expertise in capturing the exact light of late afternoon in his sunny fields, deep green eucalyptus groves, and lightly colored clouds. He uses simple palettes of complementary hues to capture romantic scenes, as in San Francisco Ferries(1928); composed entirely of burnt orange and baby blue. In Aldrin's later pieces, virtually every color is unrealistic, but when seen in the context of his compositions, they seem natural. Swedish Landscape (1962-63) is a composition that exemplifies his Fauvist use of color. The fields leading up to the forest are intense strokes of whites, bronzes, reds, pinks and purples. The forest trees themselves are bright pink with deep brown and black leaves. Even when defining objects, he uses colors instead of plain lines. 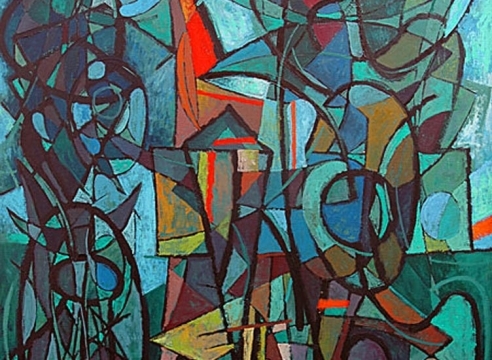 Playa Del Rey (1951) relies on a bold line of red to create the clear division of the composition. The bright waves create a secondary boundary and both strokes of color are so natural that one almost forgets the colors he uses. 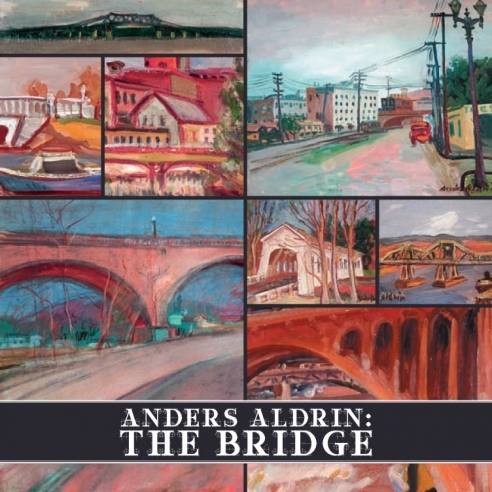 Besides his focus on color, Aldrin's work is of great social and historical interest. 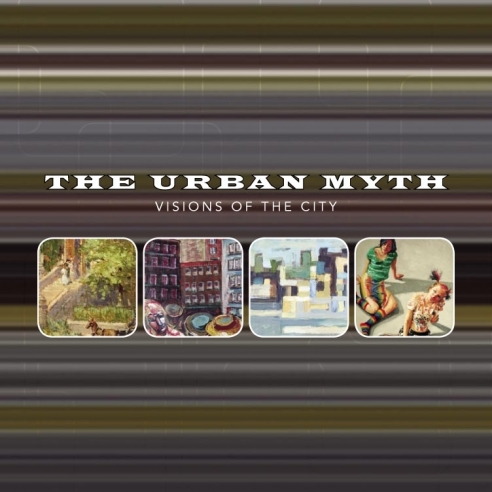 He concentrates on unique depictions of a city on the verge of mass industrialization. Aldrin had a love of all things mechanical and a craftsman's mind. 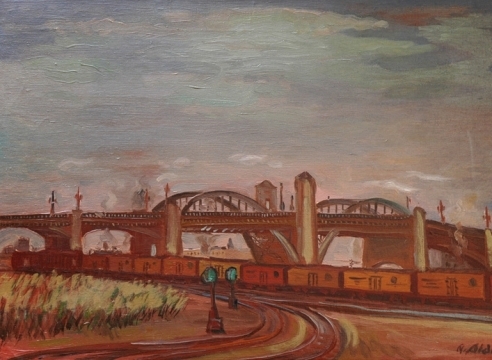 He painted subjects, most often bridges and power plants that dealt with the technological growth of the period. While traditionalists might use their artistic license to omit unattractive power lines or plumes of factory smoke, Aldrin transforms them into focal points because of their visual impact on the landscape. In Power Station, he bathes the power station in a soft palette of oranges and blues so it appears more like an exotic Moroccan palace than a gritty industrial institution. His fascination documented the fleeting moments of a rapidly changing landscape at a critical juncture in time: early Los Angeles glamour giving way to power stations, neighborhoods, and the city we know today. Aldrin's accuracy becomes an interesting document for capturing and preserving early Los Angeles. Aldrin was never afraid of stylistic experimentation and was influenced by many great artists of his generation. He sought "all the glow of the primitives, and mystery of Rembrandt." He drew inspiration from Matisse's Fauvism, Cezanne's formalism, and Van Gogh's use of the brush stroke as a compositional tool. He shared an affinity with more modern artists such as Birger Sandzen (1871 - 1954) and fellow Otis alum Milford Zornes (1907 - 2008). Although Aldrin's work was featured alongside that of Mary Cassatt (1844-1926), Childe Hassam (1859-1935) and Arthur Wesley Dow (1857-1922), his style was always his own. Fellow artist and inspirational friend Millard Sheets called his work "a declaration of independence from the style and manners of his contemporaries", and described the artist himself as "an extremely sensitive painter, not preoccupied by the need for constant public attention. Aldrin worked furiously to find his special qualities of expression...Today I realize even more clearly the importance of his work...unique qualities in color chords, depths of insight into nature and sheer delight for life are unclouded by superficial style." 1970 Dies at Veteran's Hospital, Sylmar on February 24th. 1. Aldrin, Anders to Margret Cromer, 10 April 1969. 2. Aldrin, Anders. Personal Statement, Feb. 4, 1964. 3. Aldrin, Anders. Personal Statement, Aldrin Family Archives. 4. Aldrin, Betty. 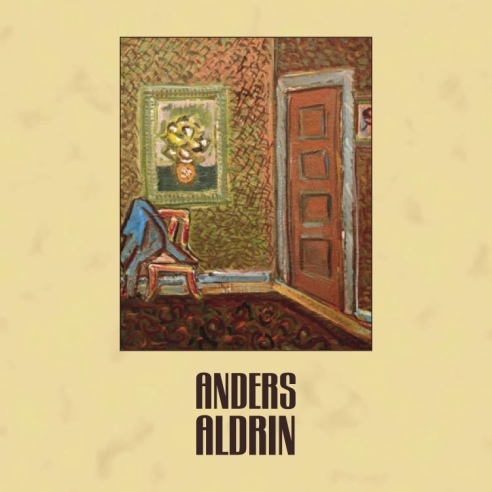 Biography of Anders Aldrin. 5. "Anders Aldrin, 1908, 1928, 1942". 6. "Anders Gustave Aldrin." . 7. Blake, Janet. "Anders Aldrin: 1889 - 1970." 8. Blake, Janet. "Anders Aldrin: An Independent Vision." 9 September 2005. .
9. Dominique, John. Taped memoir, 7 December 1981. 10. Falk, Peter Hastings. "Who Was Who in American Art." Sound View Press: 1999. p.78. 11. Fietelson, Lorser. Personal Letter, Nov. 11, 1974. 12. Hench, Elizabeth A. "A Brief Personal History". 13. Hernandez, Jo Farb. Forward to Monterey Peninsula Art Exhibit, 1992. 14. Hughes, Edan Milton. 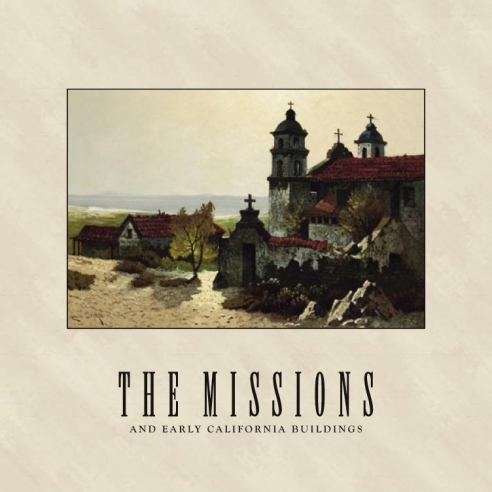 Artists in California 1786-1940. Crocker Art Museum: Sacramento. Thrid edition, Volume II. 15. Kamerling, Bruce. Unpublished Essay, Aldrin Family Archives. 16. Line, Mr. and Mrs. Francis R. Personal Letter, Dec. 2, 1974.